Apartment of 52 m 2 fully supplied. There are two double bedrooms with a window that gives on the outside, a bathroom, a kitchen open to the living/diningroom very nice. The apartment is bright and has the WiFi as well as air conditioning. 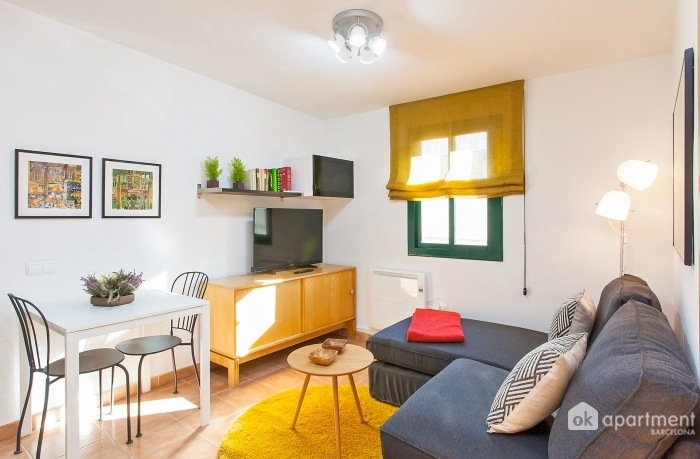 The accommodation is located in the heart of the Raval an area which is not lacking in charm and many lanes bringing restaurants, bars or supermarkets. The apartment is located near metro Parallel a few minutes from Plaza Catalunya.